Well, I'm just about done here before Christmas. What with one thing and another, I probably won't have a chance to write anything much before we get back from Austria in the New Year. All that remains is to wish you all the compliments of the season. 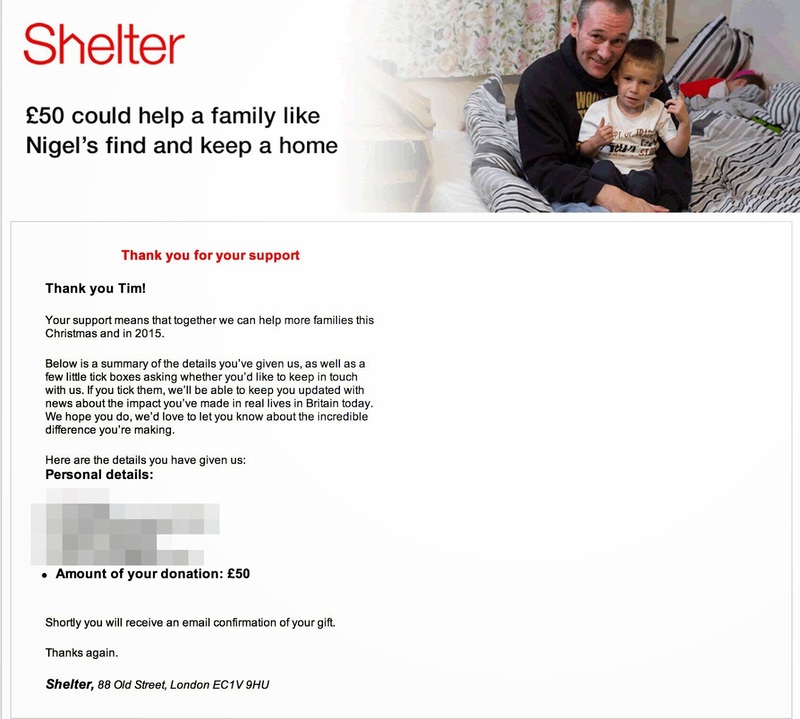 As is now traditional around here, I've also made a donation to Shelter in the name of everyone who has popped by over the course of the last twelve months. It's a great charity and the money will definitely help towards making sure some other people can enjoy the festive season too. Be excellent to each other and see you on the other side. Thanks 2014, it's been emotional.